With his first release on KUFALA Recordings Vinicius treats fans to his amazing live performances. 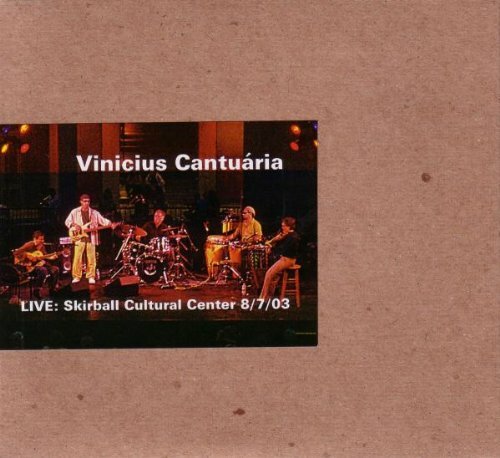 Recorded on a beautiful August night in the hills of Los Angeles at the Skirball Cultural Center Vinicius opens with a haunting almost psychedelic version of "Procissão" which has the power to draw you in until the encore. He artfully orchestrates in "Rio", a collaboration with David Byrne and gets the crowd dancing in their seats. From beginning to end this album captivates listeners and leaves them satisfied. If you have any questions about this product by KUFALA Recordings, contact us by completing and submitting the form below. If you are looking for a specif part number, please include it with your message.